Related to M. nattereri, it has rather long ears and long, thick, light-grey fur. Since it is a rarely found species, there is little information available. 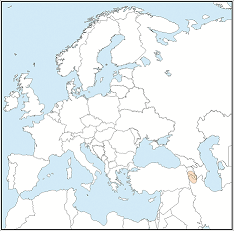 Known only from southern part of Caucasus region (Armenia) and northwestern part of Zagros Mts. in Iran.